A history of Tijuana's beginnings. Francisco Barbosa, who had just dropped off his daughter for ballet class, performed a pretty nifty pirouette of his own when he saw the space for lease next to the dance studio. "I saw it was empty and was just what we were looking for," said Barbosa. Barbosa and his brother, Gerardo, had been working in Mexican restaurants in the Tulsa area for 21 years and had decided it was time to strike out on their own. "Believe it or not, I worked in this very building way back when it was a Chimi's, probably 20 years ago," said Gerardo. 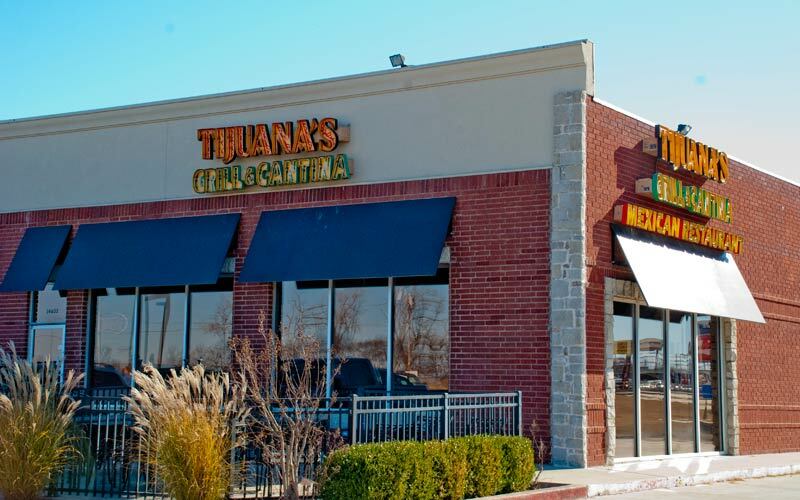 They worked out a deal for the restaurant space, which most recently had been a Fajita Rita's, and opened Tijuana's Grill & Cantina in early June. 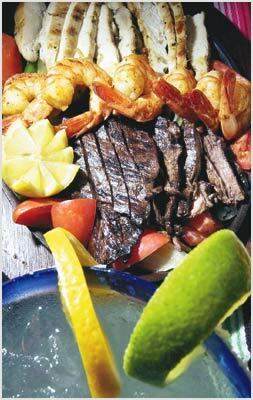 They had decided to offer a lengthy menu of Tex-Mex and Mexican regional dishes, almost all of them made from scratch, including tamales, salsa, queso and flan. "Our parents had a restaurant in Mexico, and we had many years experience in Tex-Mex restaurants here, too, so we knew what we wanted to do," said Francisco. Before we had an opportunity to visit with the brothers, we slipped in on a recent weeknight to check out the new restaurant. One thing for sure, Tijuana's doesn't skimp on its servings. Everything seemed to come on a large platter or in an oversized bowl. My pollo con crema dinner filled a platter with rice, refried beans with bits of melted white cheese, tortillas and the chicken entree. The entree tasted much like a stroganoff, with chunks of chicken sauteed with mushrooms, onions and tomatoes in a delicate sour cream sauce. The tamale dinner included two housemade tamales served with beans and rice. The tamales came with a generous serving of shredded pork (chicken also is available) inside a thick layer of masa. They were, of course, huge -- more flat than round -- and covered in a thin layer of chili con carne and jack cheese. Two of us also shared a chalupa salad, and we ended up taking about half of it home. The crispy, flaky, deep-fried corn tortilla was the best part of the salad, which also included taco meat, tomatoes, cheddar cheese, beans, onion, lettuce, guacamole and sour cream. The dessert list had such enticing choices as chocolate chimichanga, apple sopapillas and fried ice cream, but we chose the housemade flan, a somewhat coarse baked custard with a wonderful caramel-like flavor. Salsa that came with the complimentary tortilla chips had a tomato flavor, deep red color and a little kick on the back of the tongue. The menu includes eight children's (ages 12 and under) plates, all priced at $2.99. It also has a handful of American dishes, such as chicken fingers and a cheeseburger. Tijuana's has full bar service, including $1.99 margaritas served in frosted mugs and imported Mexican beers. It also has top-shelf margaritas and happy-hour specials. Our waiter, Roberto, was helpful and friendly, and, like the remainder of the waitstaff, was dressed in a yellow golf shirt with blue trim. The walls have been painted a deep adobe color and decorated with an array of colorful plates and vases, some filled with artificial greenery. Decorations with brightly colored parrots also hang from the ceiling. Tables are covered in maroon vinyl cloths and surrounded by Spanish-style wood chairs. Mexican music plays in the background. The space includes a long, U-shaped bar, four dining areas and a covered patio with strings of red and green lights.